Water Filters, Water Purifiers and Ultraviolet (UV) Water Treatment Systems. 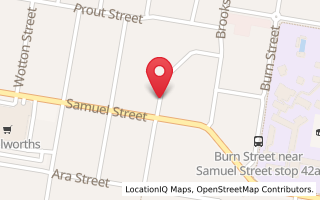 Stockists of high quality water filtration systems, water filter replacement cartridges, parts and service for most water filter brands available in Australia. 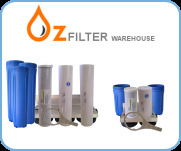 Oz Filter Warehouse are Importers and Exporters of Wholesale water filters. 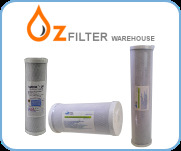 We are an Online Store for water filters, water purifiers and specialising in Ultraviolet (UV) water treatment systems. 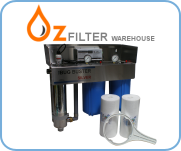 We supply all of Australia and the Pacific Islands with water filters online directly to the public. 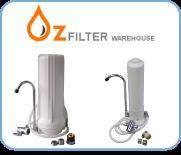 All our water filters and cartridges are of world standard sizes and most carry the sought after NSF Certification for your assurance. 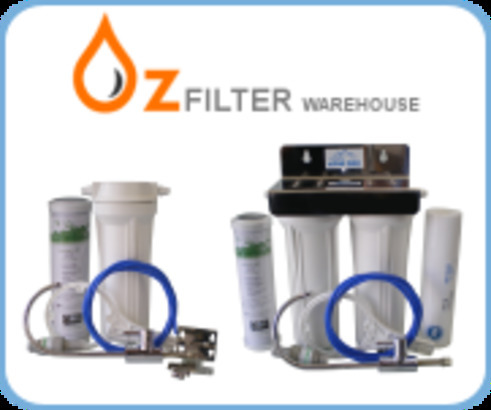 Our dedicated warehouse carries Australia's largest range of water filters and UV systems to ensure a quick seamless delivery with a service and spare part facility for your confidence. 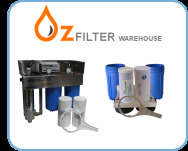 Oz Filter Warehouse stock high quality water filtration systems, water filter replacement cartridges, parts and service for most water filter brands available in Australia. KX Technologies Matrikx NSF Certified Carbon Block Water Filter cartridges manufactured in USA. Viqua Sterilight and Trojan Ultraviolet Water Purification Systems and parts manufactured in Canada. Payment by Mastercard, Amex, Visa or Bank to Bank Transfer.